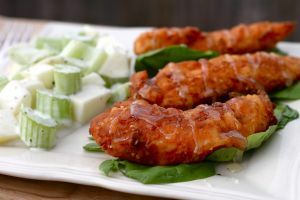 Oriental Chicken Tenders is a chicken recipe bursting in flavor with soy sauce and spices. Blend soy sauce, sugar, oil, ginger and five spice powder in a large bowl until the sugar dissolves. Add chicken tenders to marinade. Turn to coat. Cover chicken and refrigerate overnight. 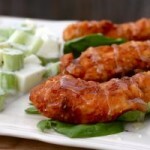 Arrange chicken in dish and bake until brown and tender, while basting occasionally with marinade.